The first time I was introduced to Biswa Kalyan Rath was when I watched one of his videos of the series “Pretentious Movies” which he hosted with another popular stand up comedian- Kanan Gill. It was one of the most unique stuff on the Internet at that point of time. On Amazon Prime, one of the popular contents is Biswa’s stand-up piece of an hour named “Biswa Mast Aadmi”. 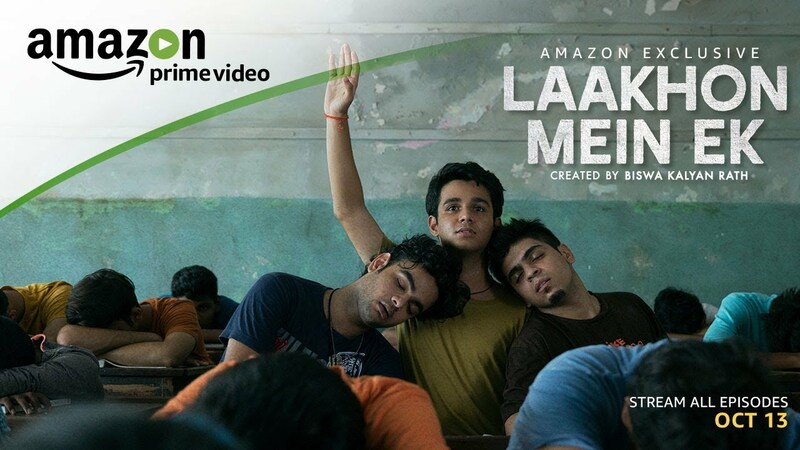 It was umpteenth number of times that I saw the thumbnail of “Laakhon Mein Ek” while scrolling through Amazon Prime’s contents for binge watching but ignored it each time but as soon as I got to know that it has been created by none other than our very own Biswa Kalyan Rath, I watched it the first thing the very next day. Laakhon Mein Ek is about our education system and how we are forced to study the subjects and course that we are not good at all. Parents in the name of society and their own dreams for their children ruin their child’s life by making them do something which leads them towards committing suicide or think about it later in their life. The story is based around the character named Akash who is sent to one of the coaching institute in South India to prepare for IIT entrance examinations. As soon as he reaches there, he finds that he has been allotted Section D which consists of students with less percentage in their 10th board examinations with not-so-good teachers. He makes friends with two students who are the naughtiest in the class and does one or the other mischief every minute. Later on, he realizes why he is here for and tries to concentrate upon studies but in vain. And then there are several incidents which takes place with the character that makes you feel sympathy for him. The series consisting of 6 episodes of roughly 30 minutes each is intriguing and makes you await the next minute to know what will happen with this boy who is overloaded with expectations that he clearly knows he can’t meet. The initial episodes are entertaining as it’s more about the fun that the children are having among themselves, but it is in few scenes in between which tells you very significantly about the pressure the protagonist is facing due to his incompetency and disinterest among all the others around him. By the end, the character becomes quite apologetic about himself for no fault of his which speaks volume about the kind of pressure teenagers are, how insensitive parents have become just to see their child score first, how impatient our education system has turned into which only wants to go ahead with scholar and bright students. Overall, the series is one of the best web series available online and deserves your time. I wish that Biswa and his team comes up with such great series more frequently. I give this one 4 stars out of 5. We need a teacher in every phase of our life!